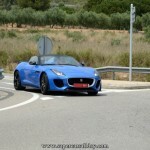 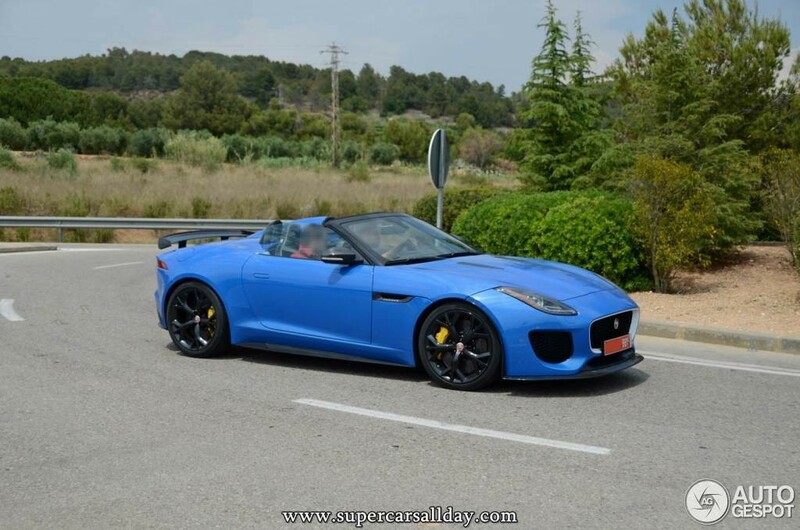 The Jaguar F-Type 7 was that special project carried out by the folks over the British sport carmaker and has been recently seen in Spain, in Sant Vicenc de Calders, to be exact. 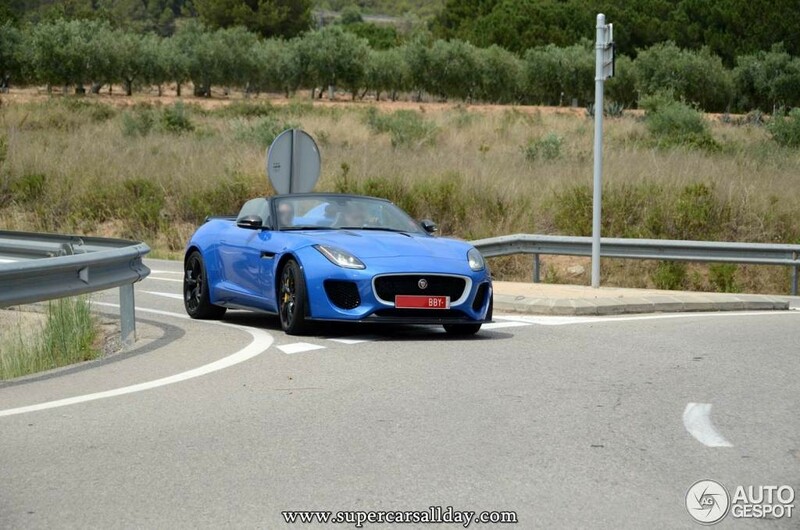 The photos were provided by Gespot publication. 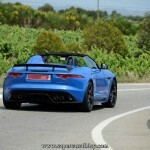 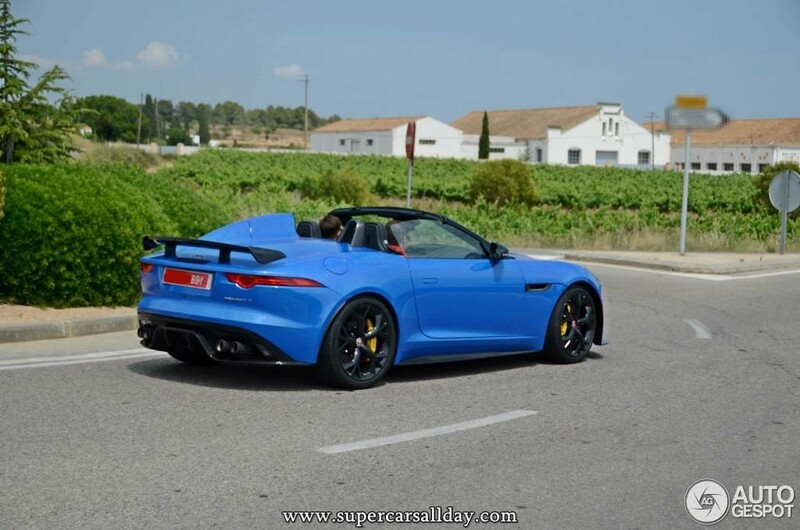 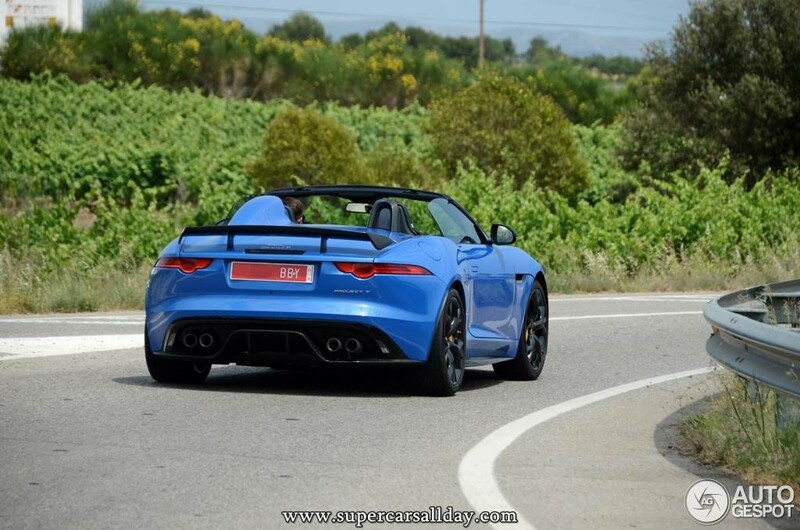 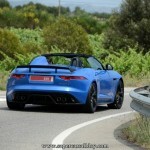 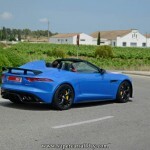 As seen in the photos, the Jaguar F-Type Project 7 was caught while cruising the streets of Spain, the model wearing the gorgeous and the exotic Ultra Blue paintjob. 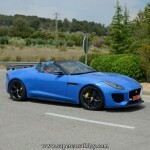 Apart that, the hot ride is also coming with a carbon fiber body, the lowered windscreen or the 20-inch black alloy wheels, which complement the entire body. 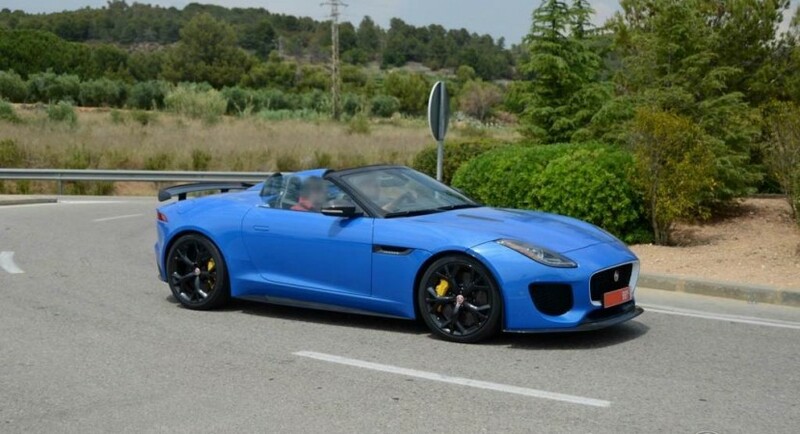 Additional goods, include the Bimini roof, carbon ceramic brakes, while under the hood, the sports car is packing the 5.0-liter V8 supercharged engine, which produces no less than the 575 horsepower and an impressive 680 Nm of torque. 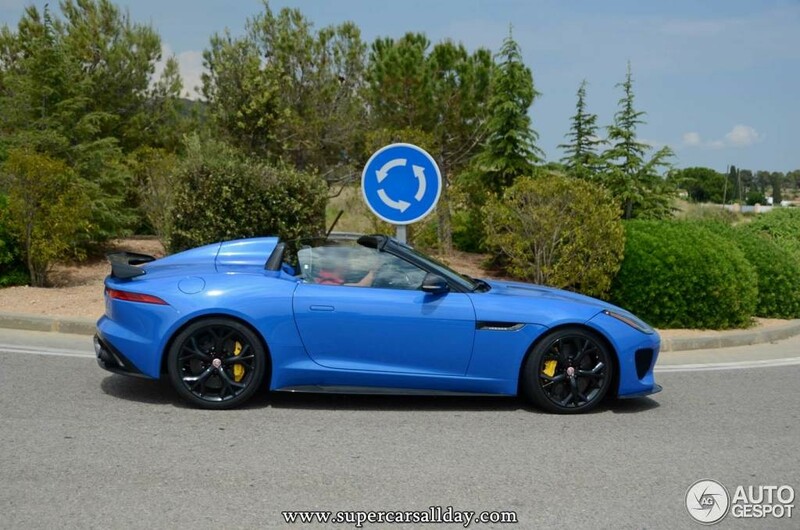 With these impressive figures, the F-Type Project 7 is now capable of sprinting from 0 to 100 km/h in 3.9 seconds, via an 8-speed Quickshift automatic transmission. 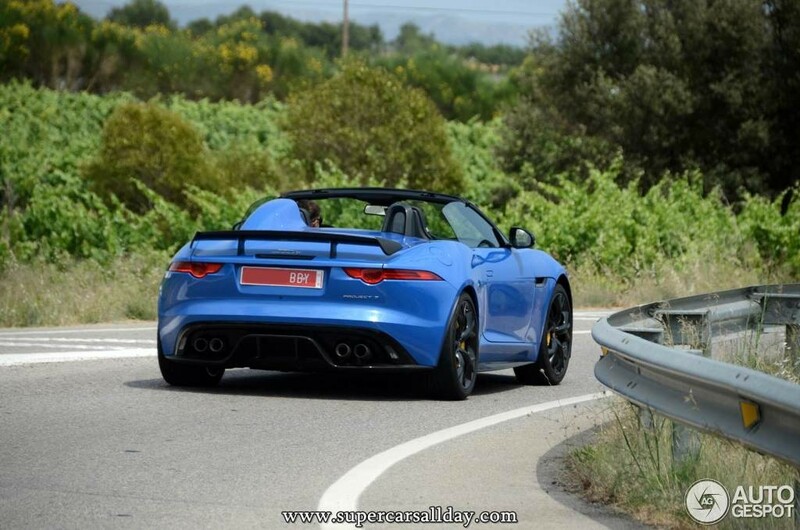 The topping stands at an electronically 300 km/h. 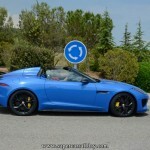 The sports car was built in just 250 units, which makes it pretty rare and unique, and it should come with a spicy price if you ever decide to buy one.